Periodontal or Gum disease is caused by plaque accumulations. Plaque is a sticky mass of bacteria, saliva and food debris which forms on the teeth surface. The most important thing that you need to know about plaque is that it accumulates on a daily basis so if you efforts to keep them out of the mouth is not enough, you suffer the consequences. If plaque is not removed through daily brushing, gums will become irritated and inflamed. 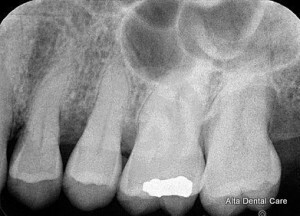 Plaque that accumulates can calcify and harden, packing into the soft tissues to suffocate them. Irritated gum tissue will separate from the tooth and will form the space in between known as periodontal pockets; these pockets make the tooth even more susceptible to bacteria because they become collection areas that encourage infection. Bacteria from the plaque will move into the pockets and will continue to cause irritation of the soft tissues. If left untreated, the process will continue until the bone and tooth supporting structures are destroyed leading to tooth loss. When bacteria is left alone to progress, bone tissue may be infected and it is destroyed. Bone that is eaten away by bacteria compromises tooth stability. First the tooth will present with some mobility but eventually it will lose proper attachment, so it can be lost. The earliest stage of the periodontal disease is called gingivitis and this condition is reversible. It results in red and swollen gums which have the tendency to bleed. Being at this is a reversible condition, gum treatments will easily resolve it so that health can be restored. Periodontal treatments includes deep scaling and root planing procedures. Only when efforts fail will the condition progress to a more serious one – periodontitis. This involves not only soft tissue but also includes significant bone loss. Severe cases of peridontitis may require soft tissue and bone grafting to replace diseased tissues. 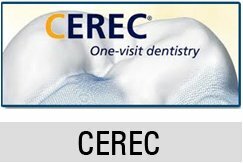 Arestin is the type of product we use in periodontics. For effective periodontal treatments, consult with your trusted Upland dentist Dr. Zaveri today to discuss your treatment options and prevent further dental costs. Call Alta Dental Care at 909-985-6116.